Below are just a few of the frequently asked questions about coaching asked by our clients and students. If you aren’t finding what you are looking for, please consider reaching out to us either via phone and/or email to get the answers you seek. We enjoy sharing the art and science of coaching and always welcome inquires. Another frequently asked question about coaching is how is it different then therapy. Professional coaching is a distinct service which focuses on an individual’s life as it relates to goal setting, outcome creation and personal change management. In an effort to understand what a coach is, it can be helpful to distinguish coaching from other professions that provide personal or organizational support. Therapy: Coaching can be distinguished from therapy in a number of ways. First, coaching is a profession that supports personal and professional growth and development based on individual-initiated change in pursuit of specific actionable outcomes. These outcomes are linked to personal or professional success. Coaching is forward moving and future focused. Therapy, on the other hand, deals with healing pain, dysfunction and conflict within an individual or a relationship between two or more individuals. The focus is often on resolving difficulties arising from the past which hamper an individual’s emotional functioning in the present, improving overall psychological functioning, and dealing with present life and work circumstances in more emotionally healthy ways. Therapy outcomes often include improved emotional/feeling states. While positive feelings/emotions may be a natural outcome of coaching, the primary focus is on creating actionable strategies for achieving specific goals in one’s work or personal life. The emphasis in a coaching relationship is on action, accountability and follow through. Consulting: Consultants may be retained by individuals or organizations for the purpose of accessing specialized expertise. While consulting approaches vary widely, there is often an assumption that the consultant diagnoses problems and prescribes and sometimes implements solutions. In general, the assumption with coaching is that individuals or teams are capable of generating their own solutions, with the coach supplying supportive, discovery-based approaches and frameworks. The first meeting is an “discovery session” and lasts approximately 2 hours. After this initial session, client and coach agree on a regular coaching schedule for 3 sessions per month. Session length depends on the program chosen. Coaching commitments generally range from 3-12 months. Prior to each session, clients are asked to prepare and submit a feedback form to the coach. This form lists what clients did during the past week, what they want to work on during the current session and how they are feeling at that time. Clients come to their sessions with an agenda of not only what they want to discuss but also what they would like from the coach during the session. The shape of each coaching session is determined by that day’s agenda. Toward the end of the session, coach and client insert accountability by deciding, together, what actions the client will take during the week based on that day’s topic(s). In between the coaching sessions, clients work on completing their stated goals. Clients with questions, triumphs or disappointments during the week may contact the coach by email (anytime) or by telephone (by appointment). Clients may undertake as much homework as they choose. Most of the learning/growth/action/results happen between the coaching sessions. Clients may spend as little or as much time as they like on the coaching process. However, the more time spent, the quicker the results. Coaching sessions may be held in-person or over the phone (tele-coaching). Schedule, cost and convenience may dictate a client’s choice. 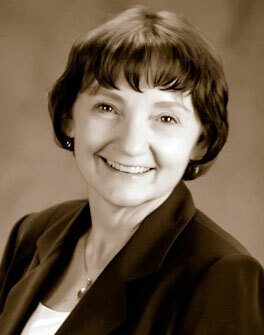 Clients often prefer to have a combination of phone and in-person consultations. Clients may choose to meet at their home, office or other designated area or at the Baraka Institute office. It is important that clients secure a private room not subject to disruption for sessions held outside of the coaching office. Many individuals feel they can’t afford a personal/professional coach. But, coaching is not as expensive as you might think it is. In fact, after considering the real life value they have gained from coaching, our clients often wonder what took them so long to participate in a coaching relationship. Before going directly to the pricing details, you might ask yourself what you’d be missing if you don’t get a coach. What isn’t working in your life right now? How might your life be different if the challenges were resolved and replaced with productive, meaningful things? Coaching is a perfect vehicle for moving toward your dreams and leaving the trash behind. Coaching offers you a chance to “do” for yourself so you can, in turn, take care of all the things that are important in your life. It provides an opportunity to grow, to change, to thrive. It is all about learning how to empower yourself in incredible ways. You deserve that much, don’t you? The investment you’ll make into coaching depends on who you choose to partner with. At Coach Training World you can choose to partner with one of our seasoned graduate coaches or ask to work with a student in the program. Although we ask that you contribute a minimum of $25 per session for our student coaches. They are REQUIRED to be paid for their internship at CTW and with the ICF. The typical coach/client relationship lasts for 3 to 6 months. When you come out of the relationship with a joyful hold on life, you will feel this investment in yourself was a very smart move. Sound interesting but not sure it’s for you? Find out by scheduling a FREE consultation with our coaches– you might just learn that you can’t afford NOT to get coached! Just call 888-660-5588 to arrange for your obligation free appointment. 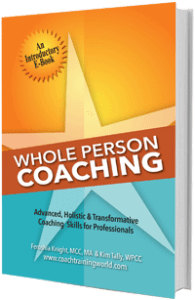 The Whole Person Coaching Process-Coaching typically begins with a personal interview (either face-to-face or by teleconference call) to assess the individual’s current opportunities and challenges, define the scope of the relationship, identify priorities for action, and establish specific desired outcomes. Subsequent coaching sessions may be conducted in person or over the telephone, with each session lasting a previously established length of time. Between scheduled coaching sessions, the individual may be asked to complete specific actions that support the achievement of one’s personally prioritized goals. The coach may provide additional resources in the form of relevant articles, checklists, assessments, or models, to support the individual’s thinking and actions. The duration of the coaching relationship varies depending on the individual’s personal needs and preferences. Assessments: A variety of assessments are available to support the coaching process, depending upon the needs and circumstances of the individual. Assessments provide objective information which can enhance the individual’s self-awareness as well as awareness of others and their circumstances, provide a benchmark for creating coaching goals and actionable strategies, and offer a method for evaluating progress. Concepts, models and principles: A variety of concepts, models and principles drawn from the behavioral sciences, management literature, spiritual traditions and/or the arts and humanities, may be incorporated into the coaching conversation in order to increase the individual’s self-awareness and awareness of others, foster shifts in perspective, promote fresh insights, provide new frameworks for looking at opportunities and challenges, and energize and inspire the individual’s forward actions. Appreciative approach: Coaching incorporates an appreciative approach. The appreciative approach is grounded in what’s right, what’s working, what’s wanted, and what’s needed to get there. Using an appreciative approach, the coach models constructive communication skills and methods the individual or team can utilize to enhance personal communication effectiveness. The appreciative approach incorporates discovery-based inquiry, proactive (as opposed to reactive) ways of managing personal opportunities and challenges, constructive framing of observations and feedback in order to elicit the most positive responses from others, and envisioning success as contrasted with focusing on problems. The appreciative approach is simple to understand and employ, but its effects in harnessing possibility thinking and goal-oriented action can be profound. Pam has more than 20 years’ experience in leadership and management positions in the higher education and nonprofit sectors. Prior to coaching and consulting, she served for eight years as a United Way Executive Director, launching new programs, projects and initiatives to address community needs. As a former nonprofit exec she understands the joys and challenges of leading complex service organizations, and loves sharing ideas, resources and connections with her clients. She is an entrepreneur and coach focused on serving leaders who serve others, and enjoys helping her clients tap their potential to make their difference in the world. She loves hiking, traveling, writing and spending time with family in friends, and currently spends an inordinate amount of time pondering getting another Golden Retriever.